Today, Freshmenu goofed up my order royally. Although the goof up is pretty epic, it does have a happy ending. 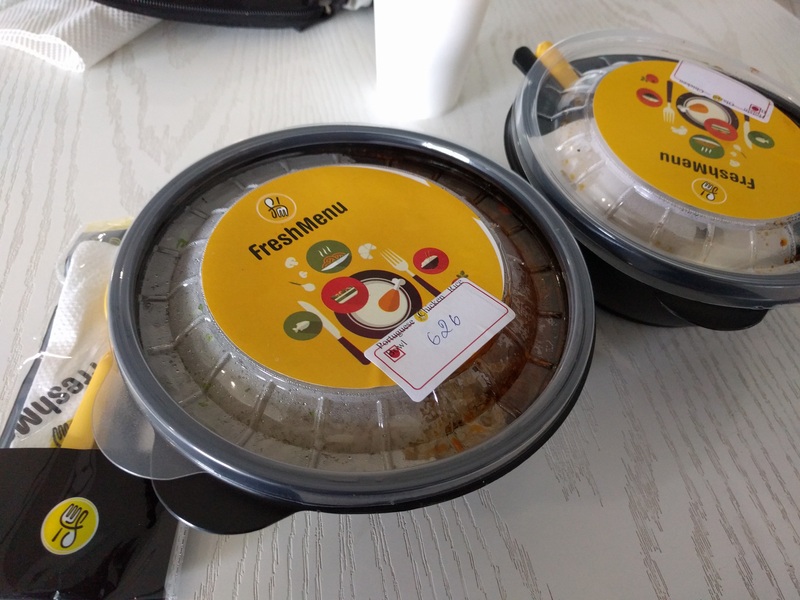 Today, they had two chicken based dishes on the menu and both were being served in a bowl. The top one is what I had ordered for. 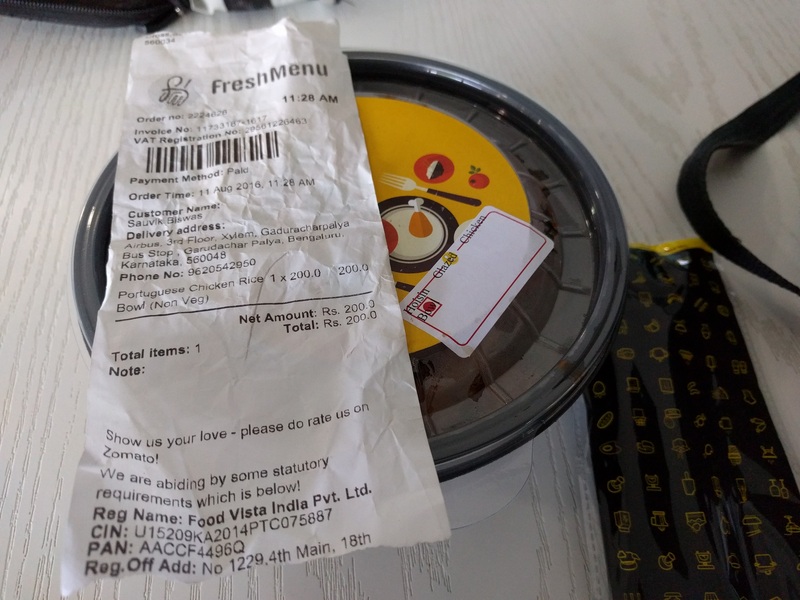 I received a call within about 15 mins of placing my order from a Freshmenu delivery guy. He had got me the second item on the menu instead of the first. The bowl had a label that clearly said ‘Hoisin Glazed Chicken’. The delivery boy insisted that it was a labelling error and what I was being given was indeed my order of Portuguese Chicken Bowl. I had Hoisin Glazed Chicken before, so I knew how it looked like. He couldn’t fool me. He then tried to put forward the argument that both are rice based chicken dishes and both have the same price. I did not buy into his baseless reasoning. I called up their customer care, who then asked me to return the bowl. They also promised me that I would receive my replacement order in fifteen minutes. They were true to their words. I got a call from a new delivery guy. When I went to collect my order, I found that they had packed another bowl of Hoisin Glazed Chicken! Again! Well, there were more bowls in his delivery bag but none of them had anything from Portugal! 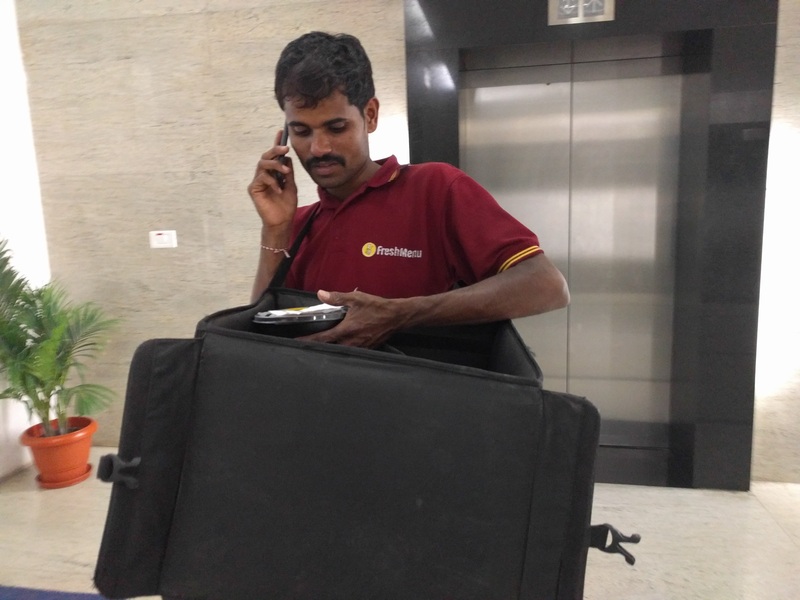 The second delivery guy making a call to their kitchen and explaining the goof up. I was feeling quite hungry at that point. I had given up the hope of getting my order. Instead, I reasoned that my stress level was lower than the stress levels of the two guys who had packed my first bowl and the second replacement bowl respectively and gulped down whatever I was given. My order slip clearly says that my item was supposed to be something to do with Portugal. But like almost all goods, it was Made in China. 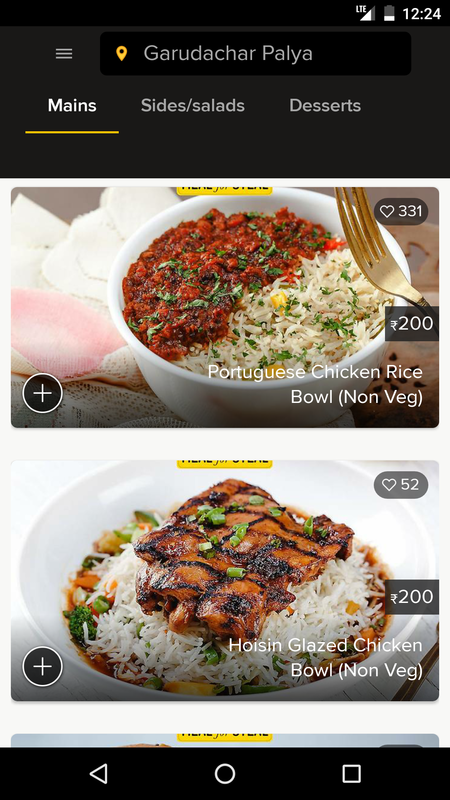 By the time I was done with my bowl, I got another call from a third Freshmenu delivery guy. He finally handed me my original order of the Portugese Chicken Rice bowl. The actual order beside an empty bowl of faulty order. I was already full. I did not have the appetite for another bowl. Instead, I packed it for dinner. 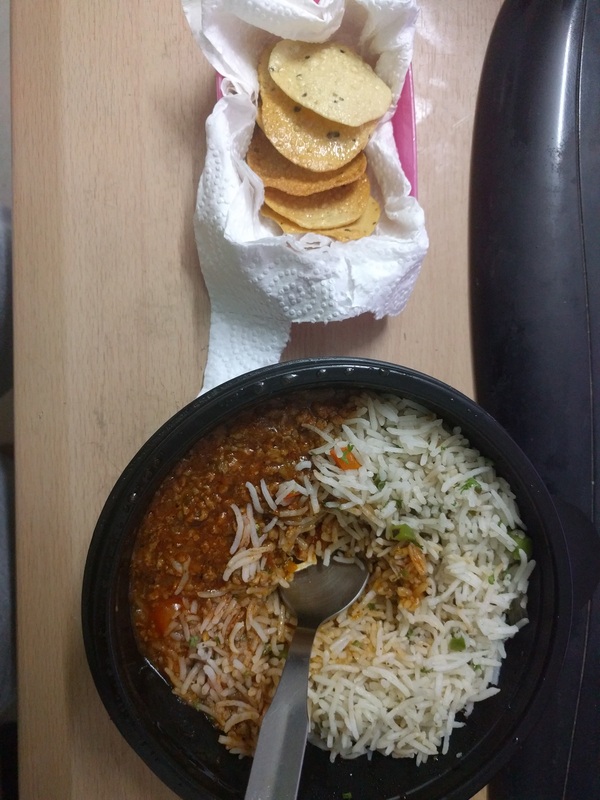 Well, it tasted pretty good with some mini papad.